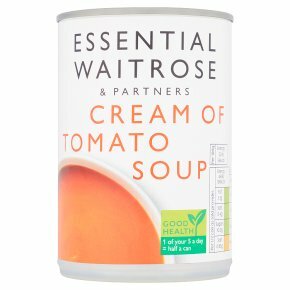 INGREDIENTS: Tomato purée (56%), water, sugar, rapeseed oil, modified maize starch, salt, skimmed milk powder, acidity regulator citric acid, double cream (milk), paprika, basil extract, flavourings. HOB: gentle heat (3-4 MINS)…Empty contents in to the saucepan. Heat gently for 3-4 minutes.